The garden gloves have been getting quite a workout lately, with all of the bamboo rhizome pruning and other garden cleanup. They're not exactly falling apart yet, but they're oh so dirty and getting worn out. The weak spots on these seem to be the seams. Those things are really beat up, worn out! I expect the soles to crack and the seams to split at any time. Really need to find a new pair that I like. Here they are when they were new. These are the tools I have worn. Those are some heavy duty gloves. I have yet to find a pair of gloves that lasts. 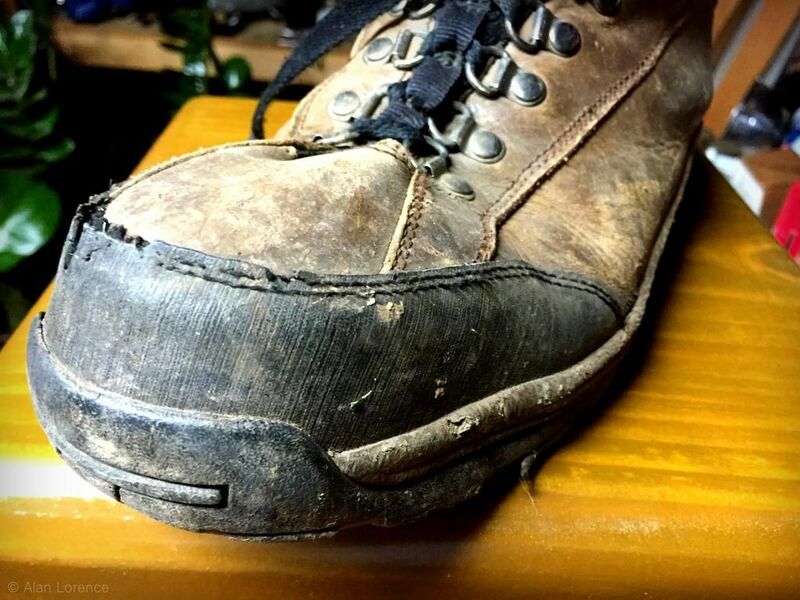 I must have 10 pairs in various stages of decay.As to footwear-old hiking boots until they eventually fall apart. Your gloves and boots are testament to your hard work. They don't fall apart on their own, LOL. You have been a busy man and your boots & gloves show it! 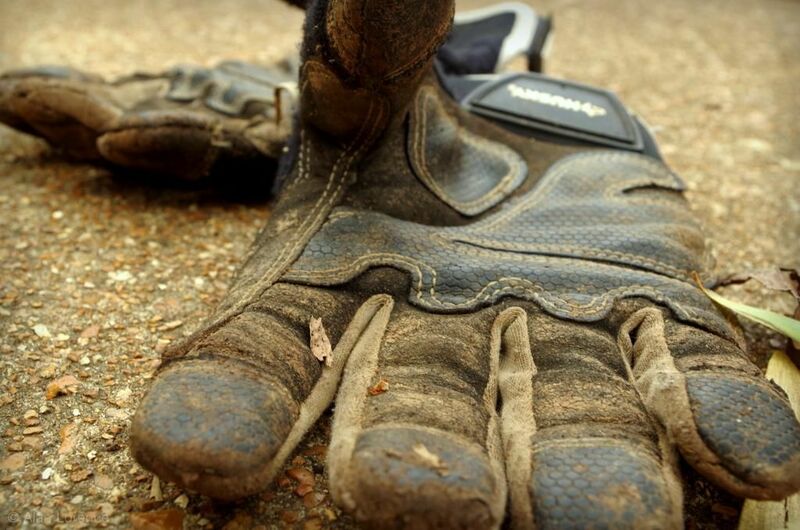 There is something so comforting in a well worn pair of boots and a good set of gloves.